You are here: Home / BLOG / News / Meet the new DataShift team members! Cassia Moraes is CIVICUS’ Sustainable Development Officer, providing engagement, policy and advocacy support to DataShift. Cassia plays a key role in feeding DataShift’s learnings and policy recommendations into the Agenda 2030 follow-up and review process. She also facilitates a working group on monitoring and accountability in the new global civil society sustainable development platform. 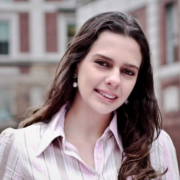 Previously Cassia has worked as an advisor on Sustainable Development at the Brazilian Permanent Mission to the United Nations and with the United Nations Sustainable Development Solutions Network (SDSN), where she supported the organization’s initiatives in Brazil and in the Amazon. Cassia is Brazilian and currently based in New York. 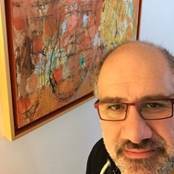 Alex Sardar is CIVICUS’ Chief Innovation Officer, providing strategic oversight and donor management support to DataShift. Previously Alex led a grassroots human rights organization, the Armenian National Committee and worked for Counterpart International, engaging local civil society groups from Honduras to Afghanistan, from Georgia to Egypt and Senegal to build the next generation of civic and political leaders globally. Alex is Armenian and based in Montreal. 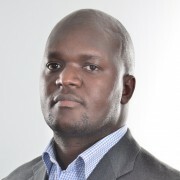 Davis Adieno is CIVICUS’ Senior Advisor, Data, Accountability and Sustainable Development, providing DataShift with project management, strategic planning and policy and advocacy support. Davis is leading on DataShift’s efforts to demonstrate how citizen-generated data can complement official sources of data to measure progress on SDG 5: gender equality, in Kenya and Tanzania. Before joining CIVICUS, Davis worked as Capacity Development Manager for Development Initiatives where he was instrumental in the development of the 2015 African Data Consensus and a thought leader on the data revolution. He also worked as National Coordinator for the National Taxpayers Association (NTA) focusing on empowering citizens and civil society to demand transparency and accountability in Kenya through citizen generated data. Davis is Kenyan and is based in Nairobi. We’re thrilled to welcome Cassia, Alex and Davis to our DataShift team, a collaborative effort between three organisations: Wingu, the engine room, and CIVICUS.